The Equinox is the balance between day and night. 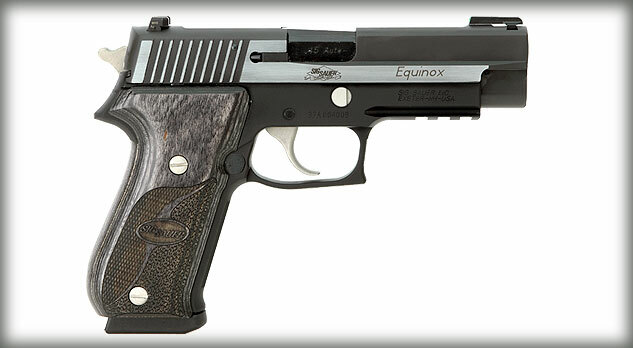 So it should come as no surprise that the SIG SAUER P220 Equinox has evolved from the SIG SAUER Custom Shop. 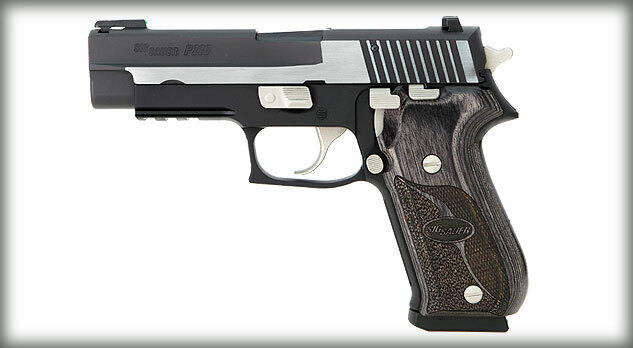 The P220 Equinox is a limited production .45ACP designed by SIG SAUER Custom Shop master gunsmiths. It features a two-tone accented Nitron stainless steel slide with a lightweight black hard-anodized alloy frame. The contrast in color is achieved by the brush polished flats of the slide and nickel accents. 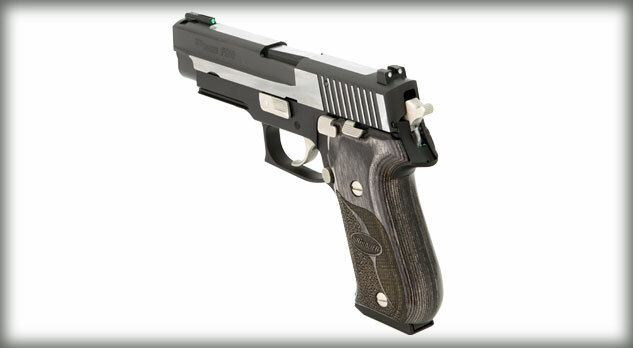 The combination of the TRUGLO Tritium Fiber Optic front sight and the rear SIGLITE night sight, provides excellent target acquisition, whether shooting day or night. 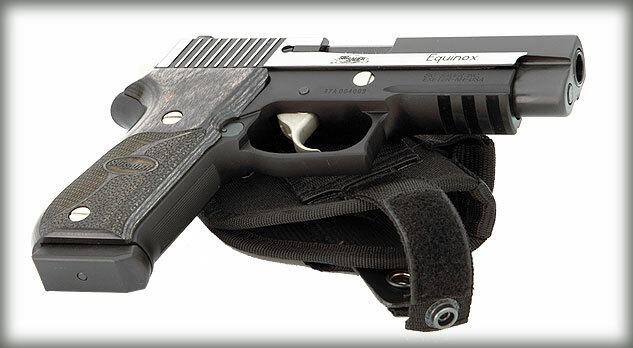 To further enhance the low-light use, the Equinox comes equipped with an accessory rail. 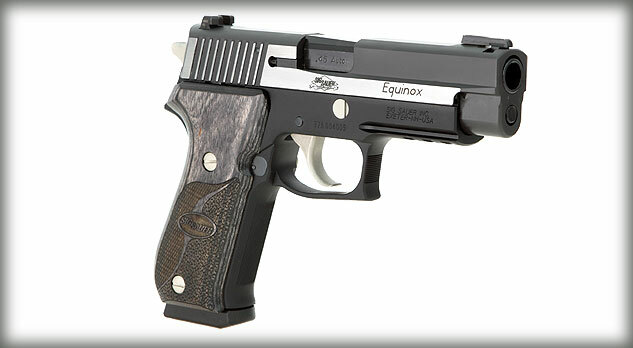 To complete the package, the Equinox comes with gray laminated wood grips with a perfect blend of checkering and stippling to enhance not only the form but the function.